Chances. Where All the Fun Goes. 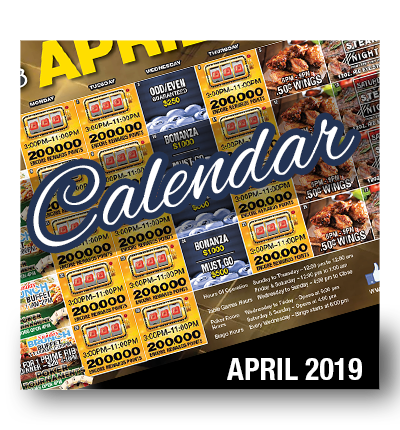 Download our April 2019 Calendar to see what specials & events are on at Chances Casino! 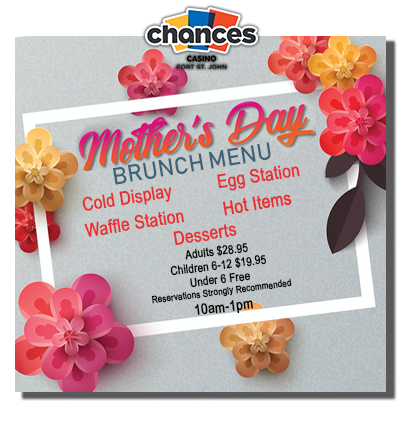 Join us for Mother’s Day Brunch! It pays to be Encore Rewards card member! 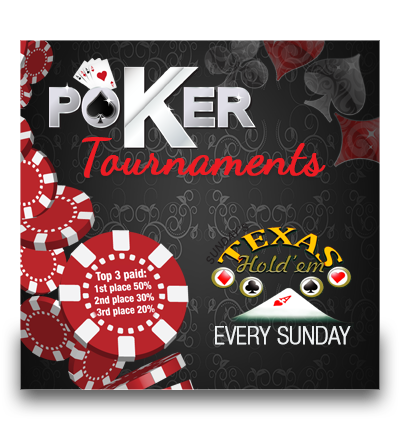 Join us at Chances Casino Fort St.John for Texas Hold’em every Sunday in 2019! Register early to guarantee a seat! Prizes based on Texas Hold’em Tournament entry fees, rebuys and add-ons. 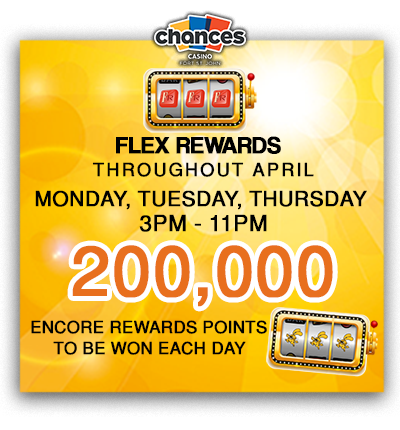 During the month of April, every Monday, Tuesday, Thursday from 3pm-11pm, participate in Flex Rewards Slot Tournaments. 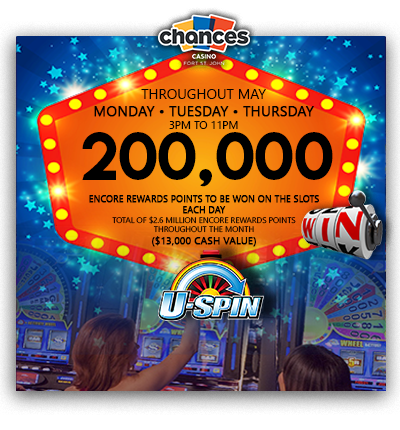 There is 200,000 Encore Rewards Points to be won each day. 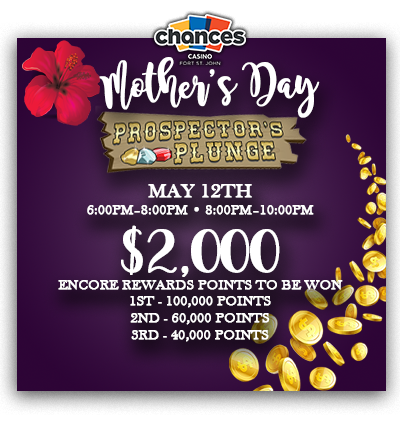 On May 12th for Mother’s Day, participate in Prospectors Plunge tournaments from 6-8pm and 8-10pm. There is up to $2000 worth of encore points to be won. 1st place receives 100,000 points, 2nd place receives 60,000 points and 3rd place receives 40,000 points. Throughout the month of May, participate in U-Spin, every Monday, Tuesday, Thursday from 3-11PM. There are 200,000 encore Rewards Points to be won each day. With a total of $2.6 million encore rewards points throughout the month, ($13,000 cash value). 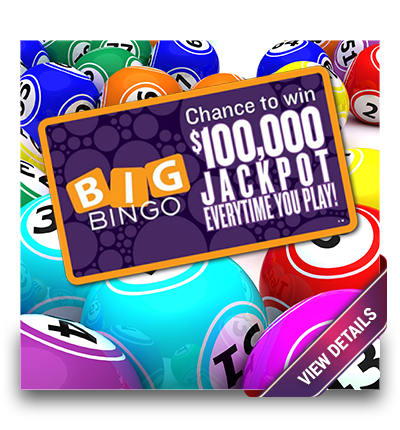 Chance to win $100,000 jackpot every time you play! Must have 5 machines in play, to prevent cancellation. Played on a nine number card with numbers under the B,I and G and can be played in one minute or less. It consists of a two part game with three jackpot levels. A full card blackout in 12 numbers or less, wins $100,000! For more BINGO information visit Chances Bingo Games. 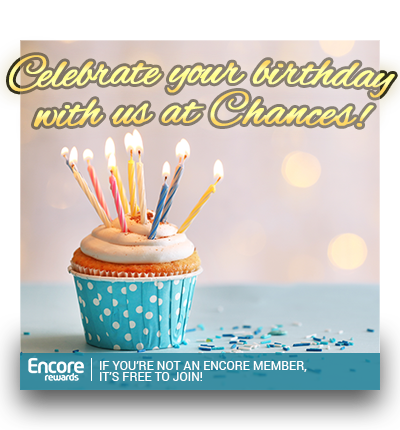 Show your Encore Card and government picture ID stating your date of birth and you will receive $20.00 of free play on your Encore Rewards Card, during your birthday month, PLUS a piece of cake! 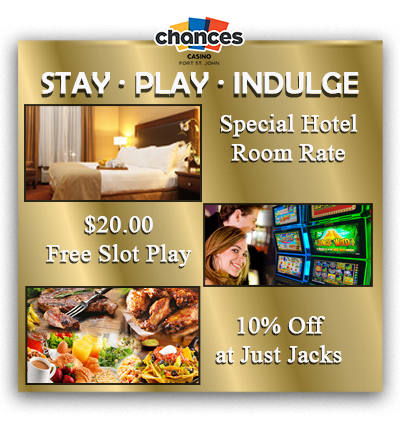 and a 10% OFF Just Jacks Coupon If you are not a Encore Rewards member, it is free to join. Click here to join. **Management reserves the rights to change, amend, or cancel any promotion at any time without notice.